With IoT, you may need to run to the edge and bring your data closer! When it comes to the IoT, responding in real time to events is critical. With real-time applications, the amount of network latency in the system is critical; less is more. You cannot manage latency if you do not know where the compute and storage resources are located. Not only do you not know where those resources are located, the location may change as the cloud provider balances its load among the servers within a data center. Even worse, the latency can change as the cloud provider moves those resources across its data centers. Edge computing can rescue your network from too much latency. Edge computing is the opposite of cloud computing. With edge computing, the compute, storage, and application resources are located close to the user of the data, or the source of the data. This is in contrast to a cloud deployment where those resources are in some distant data center owned by the cloud provider. Reduce network latency and network jitter: You can react to things quicker when you bring the data closer to you. 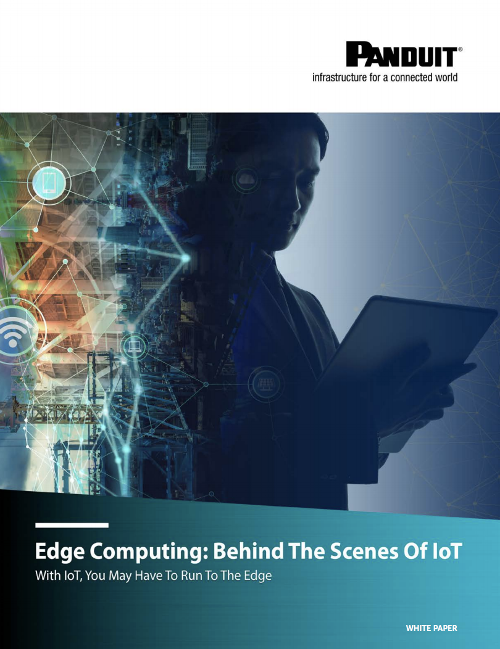 What to consider when adopting edge computing, a go-to solution for IoT deployments? Harsh Environments: Bringing it into your facility puts your data and enclosure at risk, so selecting the enclosure and components are important. Security: You will need to consider the physical security and access of the enclosure, including keys.